Minuit is French for Midnight. A simple, frank and powerful word that goes straight to the point, that sounds the start of the party, the end of the day, the uncertain future, the fateful hour when the impossible becomes possible. Five souls, five friends, five musicians, all composers. Tanguy Truhé, drums. Raoul Chichin, guitar. Joseph Delmas, guitar. Klem Aubert, bass. Simone Ringer, vocals. In 2013, at barely 20, they decided to go for it, body and soul. Together. Their motto might be: “To do things seriously without taking ourselves seriously.” When they talk about their hybrid songs, songs that can darken the dancefloor as well as invite people to embark on a voyage without a passport, the thing that comes through is their strong craving, a joyful force, total excitement. Their music is like life itself: full of different, paradoxical and complex emotions; their music knows that limits are there to be pushed, that you should go forward, whatever it takes; that pleasure comes through work, through wanting to do well, better, always. Apart from Simone, who wanted to be a graphic designer (she did the band’s artwork), they all learned to master their instrument through playing in different bands for years. They didn’t start together in high school, in a messy punk way, no. They sweated blood and tears; they started over again and again. Because they knew that one day a chance would present itself and that they should be ready to seize it. Joseph and Raoul laid the first stone in 2010. They hung out in the same bars, liked the same guitars, AC/DC’s and Hendrix’s guitars… At the same period, Klem left Avignon to join them in Paris; to give it a go. First trials, first jams: something happened and grew slowly but surely. Ideas became canvases for songs. They were missing a voice. Simone, who lived in Brussels at the time, felt the mic calling her and went for it. It went well. Very well. 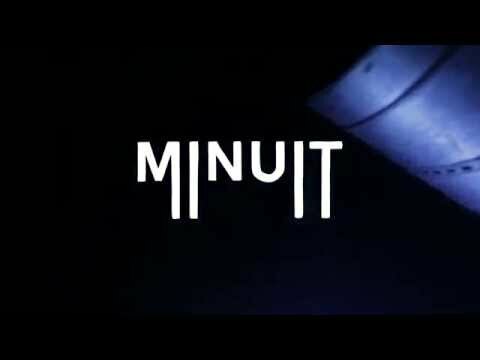 Minuit was born. They very quickly got an offer to play at the Point Ephemere, in Paris, in November 2013. They were missing a drummer. They really needed a drummer. Minuit couldn’t be content with programming beats; they’re a vibrant band, they couldn’t compromise their energy. Tanguy would be it. The show was a confirmation. A total epiphany. 25 minutes, five songs, and the audience with them. Simone sang for the first time in front of the world. That too was an epiphany; she felt right at home. Then they had to record. As they were preparing to put together this first EP, the minds of the five Minuit was made, Azzedine Djelil would show them the way and be the alchemist to their desires. March 2014, Studio Francis, in the outskirts of Paris. 15 days of recording. 15 days of mixing. And one mastering in New York, by Greg Calbi. Two words come back regularly in the Minuit’s musical vocabulary: colour and contrast. For them, imagery counts as much as notes. It’s a whole, a powerful ensemble with a definite identity, a wish to transform everyday life and enhance it. 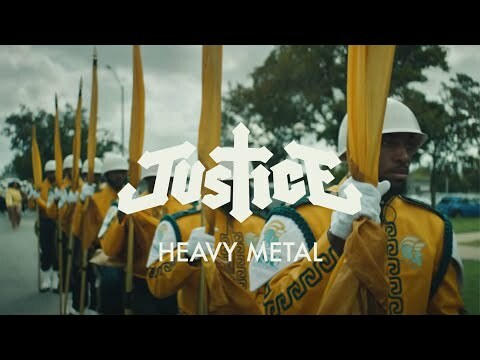 It’s all in their first video, ‘Flash’, directed by Arnaud Giacomini: the moving symmetry, a masterful melting-pot of genres, something chic and violent, a black and white rainbow. Contrast. Just like life itself. The first EP is all that, all the time. Popular Pop, with no gimmicks or shortcuts; Pop that can be Rock, Funk, New-Wave, solar or dark, frank and radical, beautiful and explosive. On this seminal record, there is ‘Flash’; but also ‘Recule’ with its piano that’s so beautiful you could cry, Simone’s voice revealing itself intimately in a crescendo, a long assent towards a metal sun, walking along a precipice showing our deepest fears, totally captivating. Sincerity seizes our last convictions, a guitar swirls, falls, rises again and your spine tingles. ‘Cafeine’ is complex and visceral, like a slow dawn, a common loneliness, a relentless melancholy, the feeling of night turning into day, when things die and others bloom. At the centre of all this is the screen, the one that has taken over our lives over the years, sucking us in. ‘Roule’ summons The Doors, Otis Redding, even Jacques Dutronc, Folk, French Americana, Rock’n’Roll rushing on the asphalt. But in the end, what you hear is Minuit. In the end, synthetic chords waltz with guitars and we’re far away, with whoever, far away. ‘Sur les Berges’, one of the band’s first compositions, is a salutary schizophrenia, an energetic dance track on stage, more of an acoustic ballad on the record. Proof that a song can have many lives, many directions. Minuit have only just started. They’re growing step by step. Song after song, they’re searching and finding themselves. Until the first album, in 2016, they’re hard at work and will meet you at the finish line.